We tailor our services to fit your project needs. Drew Brown is co-founder of Constructive Building Solutions. Drew is a native of Wilmington, North Carolina and a graduate of North Carolina State University. Drew has a Bachelor of Science degree in Civil Engineering and Construction and began his career as a contractor while attending college. 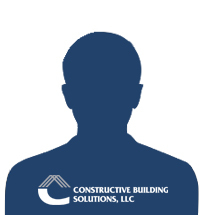 He has been involved in construction, project management, and construction related issues for over twenty years. Drew has become a nationally recognized expert with regard to construction issues. Drew is qualified through the North Carolina and South Carolina Licensing Board of General Contractors.